For me, there’s no doubt what the highlight of any conference is. Yes, the presentations are great, and yes, it’s an opportunity to visit a great city, and yes, the parties are fun, but first and foremost, it’s about the people. And luckily for me, I’m part of a wonderful professional learning network of like-minded, equally passionate educators who I not only have the honour of knowing online, but occasionally get the privilege of meeting face to face. And while we do have fun together (and we do have fun! ), we also talk a lot of shop, sharing reactions, impressions and opinions. We go and support each other when someone is speaking. We share their work and projects and make sure everyone knows how brilliant they are. Meeting in person takes this relationship to another level. This year I was also recording interviews for the ELTchat podcast, which was a great way to meet some new people (I was particularly delighted to unmask OUPELTGlobal, and what a great guy he was!) and catch up with old friends. Thanks to everyone who spared me 5 minutes at Horton’s for an interview. 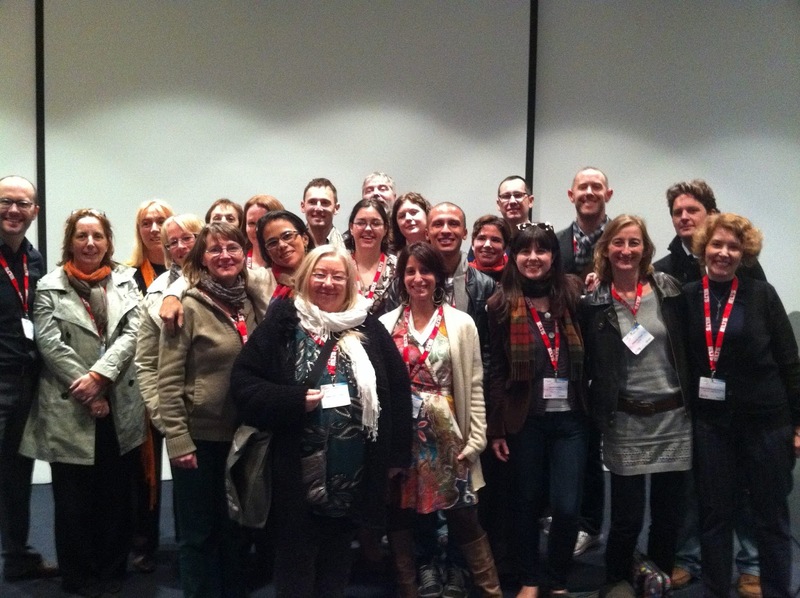 So to everyone I met at IATEFL, thank you for being part of a wonderful week. Thanks is not enough, but it’s the best I can do. And to those of you who weren’t there, I hope I see you next year!